Mrs Clown and I attended the Remembrance Day parade in Bristol yesterday. My nan and grandad took me to my first parade in Footscray in, maybe, 1972. 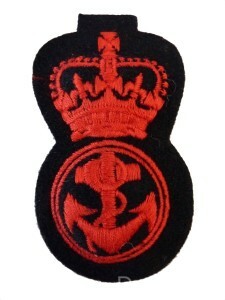 I was in the first rank of the Bexleyheath parade as a Sea Cadet in 1980 and marched with the grown up soldiers and sailors on Plymouth Hoe in 1982. 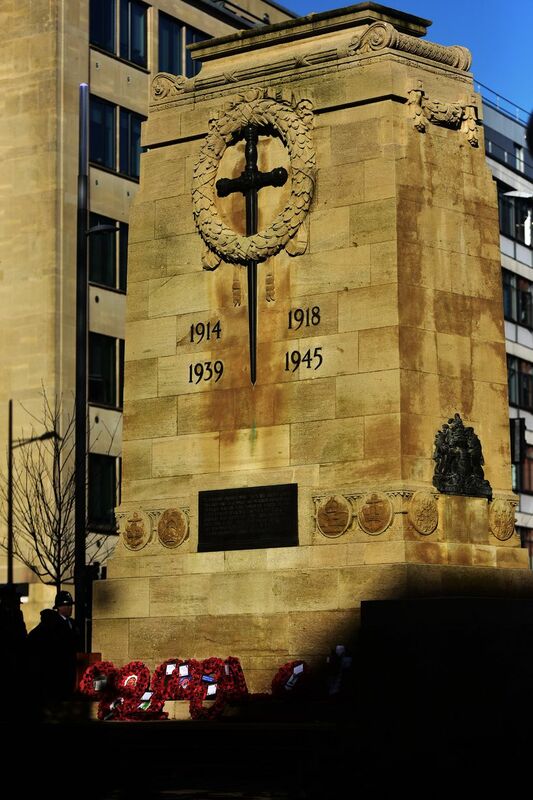 But the past is just the same,—and War’s a bloody game…. Despite what the Bristol Post says, there were very few young people at the parade yesterday, other than small children with their parents and the cadets marching in the parade. I wonder how long these parades will continue? When we recited the Lord’s Prayer, I was struck by the fact that everyone around me knew the words too. How long before that, too, is forgotten? Anglicans add the line “for thine is the kingdom the power and the glory forever and ever” to the end of the Lord’s Prayer but a recent survey by British Social Attitudes says that “Only 3% of adults under 24 describe themselves as Anglican”. Maybe Christianity will last for ever, but maybe not that bit of the prayer. We sang Carols at the tree lighting ceremony in Clifton Village last Wednesday. They handed out hymn sheets but everyone already knew the words. I saw no young people though either despite the thousands of students who live in Clifton. How long before Carols are forgotten too? I believe it was the battles of the Somme and Verdun and Passchendaele that precipitated the long slide in religious belief in Europe. When the Church, all over Europe, gave so much support for the most atrocious war in all history, it’s hard to imagine that its moral authority could continue forever. Maybe it’s right that we should forget those terrible wars now. After all, we’ve had more than 70 years of peace now. The European Union has its roots in an effort to bind together the French and German economies after World War 2 so that these terrible tragedies might never happen again. Churchill, having seen a few wars first-hand himself, was a supporter. Too many people have forgotten this and now a handful of Tory opportunists have persuaded them that we don’t need this security any more. Across the Atlantic, the American president is doing his best to undermine the institutions that have kept us safe and prosperous for so long. Half the country thinks this will somehow Make America Great Again. At the Remembrance ceremonies in France, Macron and Merkel held hands in a symbolic rejection of past enmities. The American president, famously, chose not attend the remembrance of America’s contribution to the end of World War I. As these awful conflicts fade out of memory, it becomes easier to think that they’ll never happen again, even as we dismantle the institutions that made them stop. Macron & Merkel photo from Getty Images via The Guardian. Posted on November 12, 2018 November 12, 2018 Categories Categories SuckTags memories, poetry, politics, warLeave a comment on When do we forget? Memories. Of the past, mostly. Every blog comes to an end eventually and all too many end the same way: with a boring, uninspiring post that lingers at the top of the blogger’s home page for evermore like a turd that refuses to be flushed away. 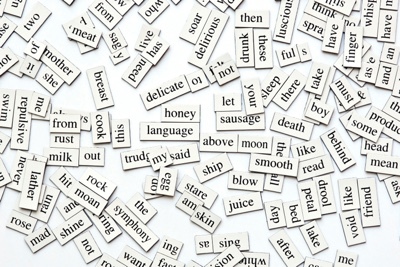 A blog is only as good as its latest post and that forlorn, ill-conceived post clogs up the blogosphere for eternity. To save Ragged Clown from that crappy fate, I hit upon the brilliant idea to put my blog in “archive mode”. I just made that term up but what it means, more or less, is that my home page no longer shows posts in reverse chronological order like every other blog in existence. Instead I picked out a handful of posts that I enjoyed writing way back when I was young and creative and stuck them on the home page instead. 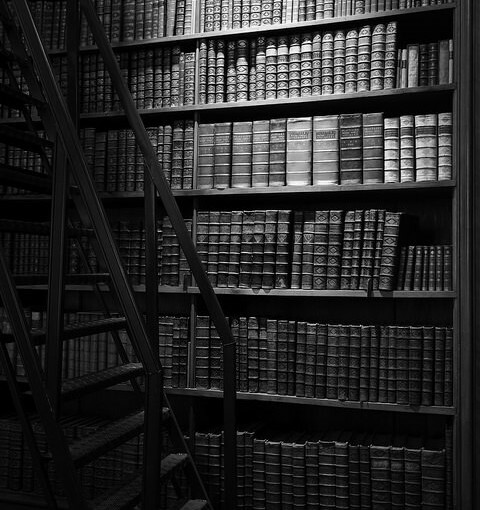 If you want to read my latest posts, you’ll have to rummage a little but—don’t bother! They are not very good. Posted on October 10, 2015 October 10, 2015 Categories Categories SuckTags blog, memoriesLeave a comment on Memories. Of the past, mostly. 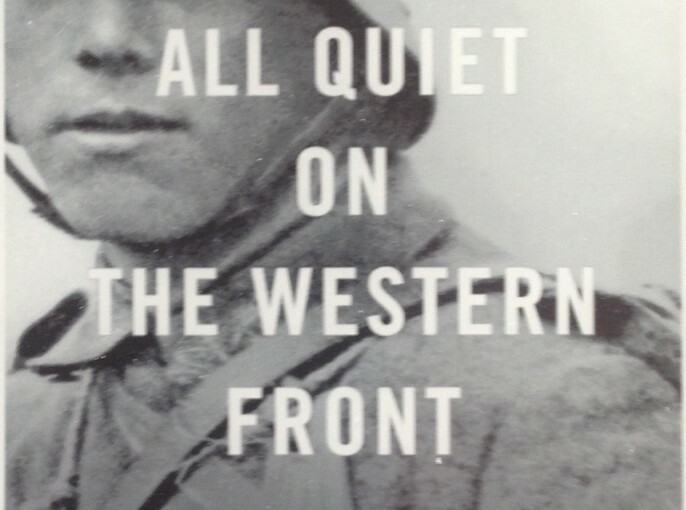 I’m reading All Quiet on the Western Front and just got to the bit where Paul arrives home after a long time away at the front and suddenly, in my reverie, I was Paul, coming home from my first few months in the Royal Navy.
. When he arrived he felt foreign, like everything had changed though he knew that, deep down, everything else was the same and that it was he who had changed. His relationship with his family and his friends was different and would be so for ever more. To be clear, I never went to the front. I was never in great danger during my six years in the navy. I did not watch my friends die. I was a sailor and not a soldier but, for a brief moment, I felt a bond across the 100 years and the cruel, ugly line that divides me from that German private soldier. A bond that connects everyone who has worn the uniform, even for brief time. I came home after 10 weeks in the Navy for midterm weekend. It happened to be Speech Day at my school and I was going to be awarded a prize. I had been traveling all day to get home from my base in Cornwall and I knew I was slicing the time rather fine. No cell phones in those days but my mum was waiting for me as my train pulled into Sidcup Station and we raced down to the school, running into the assembly hall in time to see the last prize-winners crossing the stage. The Headmaster was already preparing to make his final remarks as rushed into the hall. After a 300 mile dash across the country, I had missed my brief moment in the spotlight. Luckily Mr Hahn saw me striding down the aisle and was quick on his feet. In truth, it was hard to miss me as I was the only one in a navy blue uniform among a sea of purple. Mr Hahn recognized me, quickly grabbed the microphone and ad-libbedbut me. The Headmaster looked flustered and wondered why a sailor was walking across his stage until someone thrust a certificate into his hand to make him understand. “Congratulations, Lawrence” he murmured and shook my hand. As I made my way to the other side of the stage, I caught Mr Hahn’s eye and he smiled and nodded. Coming home that weekend, I knew that everything was different now. My friends were still school kids but I was in the navy and no one understood what that meant but me. The line between a terrific teacher and a terrible teacher is a fine line indeed. So many of the very best teachers dance along the line with fancy steps on either side, changing the lives of students fortunate to be touched by their magic or cursed by their conceit. Mr Gooden was terrifying and a tyrant. He altered the course of my life more than any other teacher. JK Rowling’s Severus Snape is the modern archetype of the terrific/terrible/terrifying teacher and Potter doesn’t know until the very end where Snape’s loyalties lie. 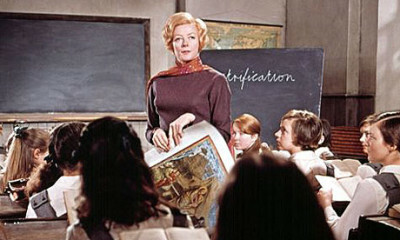 The tyrannical teacher par excellence though is Miss Jean Brodie. Maggie Smith’s terrifying teacher, long before Professors Snape and McGonegall and long, long before The Dowager Countess, was a fascist and an admirer of fascists. Miss Jean Brodie was inspired by Mussolini and Franco and inspired her “gells” to great heights; moulding and shaping their lives but ultimately dooming them to tragedy, sending them off to war and worse. Miss Brodie wielded charisma and conviction and certitude as weapons to inflict scorn and shame on her students. Snape too. But Mr Gooden had them both beat with charisma and conviction in abundance and he directed scorn and shame like guided missiles against a Palestinian hospital. Mr Gooden was an evangelical Christian and ran our school’s Good News Club, a welcome refuge from a rainy winter’s lunch break. To those who didn’t know him well, he had a reputation as a ferocious disciplinarian. To those lucky enough to have him for chemistry, he was a magical storyteller, bringing his subject to life and instilling a love of science that has lasted a lifetime. Mr Gooden, the chemistry teacher would be a shoe-in for Teacher of the Year. Mr Gooden the form teacher would merit a different award entirely. Time for a quick sidebar to explain some features of English schools for American readers. JK Rowling captured a great many features of the British Grammar School with surprising fidelity. 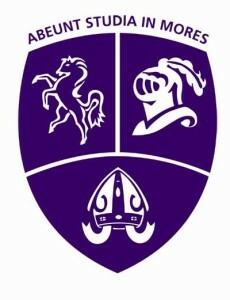 The sorting of First Years into houses to foster competition and team spirit is spot on (give or take a Sorting Hat) and, while we didn’t have Quidditch, we did have regular inter-house rugby, cricket and track/field tournaments (Lester forever!). Ordinary and Advanced Wizarding Levels are essentially O levels and A levels—the exams you take at age 16 and 18 that determine your success or failure in life. One big difference between an English school day and my American kid’s day is that we all travelled from class to class in a herd, only occasionally breaking ranks to split up for Latin or German. Our herd travelled everywhere together including, in our case, ice skating every Sunday and the occasional trip to Margate on the train. American kids (mine at least) miss out on that camaraderie and have to work harder for their friendships. That’s one thing that my school got right. The “Form” system made it so easier to build friendships and many of my friendships from that period have lasted a lifetime. The official name for our herd was a ‘form’. Each form had a Form Room and a Form Teacher who started and ended each day with a roll call and was responsible for the discipline and life lessons that didn’t fall under the rubric of the curriculum proper. Our Form Teacher was a prominent part of our lives (like Professor McGonegall was for Harry, Ron and Hermione) and could make those lives great or awful according to their tastes. Mr Gooden was our Form Teacher for my second and third year of grammar school (7th & 8th grade for ‘mercans). My first day in Form 2P was filled with trepidation. Mr Gooden’s reputation as a tyrant loomed but, like many a dictator, Mr Gooden up close was quite personable; charismatic even. Our days began with laughter and inspiration and I was soon grateful for a teacher that took an active interest in our lives. We were lucky to have Mr Gooden for chemistry too and he was a born showman in the chemistry lab. How well I remember the zinc and sulphur explosion! What better introduction to molecules than the oil drop experiment? 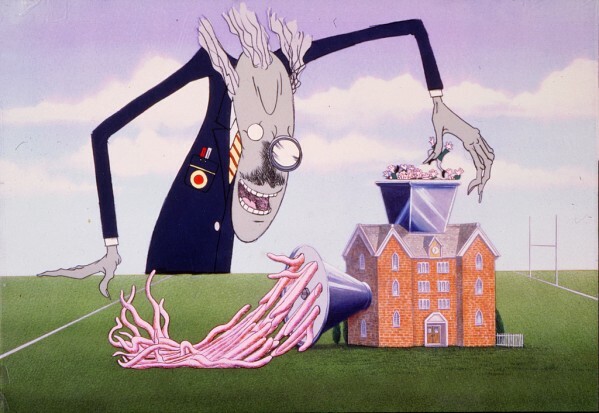 A whining aside: American kids are really cheated by not having any real science lessons until very late in high school, long after they have already decided that they don’t like science but right when they need to take a science class to graduate. By the time an English kid finishes school—at my school at least—he would have completed 7 years of each of physics, chemistry and biology if he were so inclined. My kids weren’t allowed to take more than one science class per year and science in middle school is just a joke. Mr Gooden’s active interest in the form room extended to encouraging us all to donate to his special charity collection every Tuesday morning. Mr Gooden’s class was consistently the most generous in the school and he made sure that we all gave until it hurt, publicly shaming anyone who fell short. He also made sure we “volunteered” for any extra-curricular project that required work. Character-building stuff, I am sure and, considered in isolation, something to be commended. But eventually the constant pressure to “volunteer” for good deeds and give money for good causes became oppressive. But it was on disciplinary issues where Mr Gooden really crossed the line. I’ll confess right now that I was not the most well-behaved child at Chis and Sid. I had more than the average number of detentions. The average number was close to zero but, when the headmaster announced the detentions in assembly every Tuesday and Thursday, a handful of offenders were named over and over. It was rare that the list of miscreants did not include some combination of Monroe, Harding, Winch or Lawrence. Detention began with a certificate signed by the offended teacher and counter-signed by the offender’s parents. Other schools had a punishment called detention but it was a pale imitation of the elaborate ritual of shame that Chis and Sid inflicted on its naughtier students. Mr Gooden rarely gave out the official sanctioned punishment though. Mr Gooden’s justice was primal and personal. It began with a barrage of scorn for anyone who did not live up to his lofty expectations. He had a way of focussing his ray of humiliation on a single student while making every other student feel that they to had let him down. Class punishments were common but it was the private discipline that provoked the most fear. My first private chastening came after that episode in Ms Furey’s French class. I’ll confess again that I was often the naughtiest boy in her class. I spent much of third year French in the corridor outside Ms Furey’s classroom and far too many of my lunch breaks writing “Le silence aide le travail” 100, 200 or sometimes 500 times for some transgression or other. I wasn’t the only naughty boy in the class though and, on that particular day, far from the naughtiest. As I recall, on that terrible day, Martin and David were the instigators and at the peak of the mayhem most everyone in the class contributed to poor Ms Furey’s breakdown. 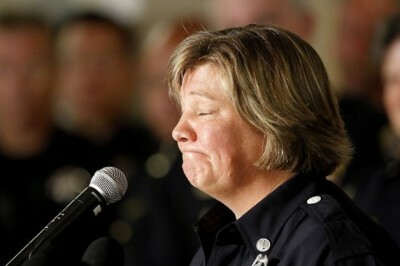 I was, at worst, a part of the chorus, embarrassed by her tears. When I received my summons though, I knew that evidence was not going to help my case. At roll call the next day, Mr Gooden said those dread words “Oh, and Kevin, I want to see you outside the Staff Changing Room at 12:15.” As anyone who has been on the receiving end of Mr Gooden’s wrath knows, the Staff Changing Room is where Mr Gooden kept his Size 14 Dunlop Green Flash plimsolls. The routine became depressingly more familiar with each punishment but the first time was special in its banality. First of all, the penitent (me) had to perform a series of stupid little tasks while Mr Gooden changed out of his track suit. Fetch me this. Bring me that. Deliver this thing. Next, you had to stare into those limpid pools of justice while he lectured you on the responsibilities and virtues required of a student at Chislehurst and Sidcup Grammar School. 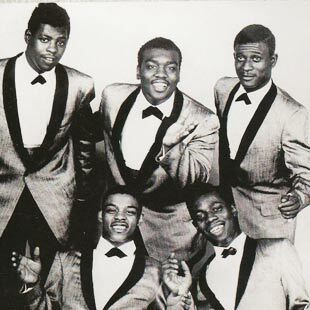 Finally, you had to take off your purple blazer, hang it on a coat hook and bend over to touch your toes while you waited for the Dunlop Green Flash to deliver the justice of the righteous Mr Gooden. The first whack was almost hard enough to knock me off my feet. The second and third came with increasing force as Mr Gooden got comfortable with his swing. Just three swings this time. I forget the occasion for my second visit to the Staff Changing Room but it obviously was not sufficient because, on my third visit, the Green Flash plimsolls had been replaced by a cane and not one of those swishy canes like they used in old movies either. This was the kind of cane that the rule of thumb was apocryphally named for and each swing resulted in a thud rather than a swish leaving a welt of pink on my stinging backside. At least I was allowed to keep my trousers on. As far as I know, Mr Gooden’s extra-curricular punishments were entirely off the record and neither the school administrators nor our parents were ever aware of them. I certainly never told my parents and would not have received any sympathy if I had. Mum had too many stories of corporal punishment of her own to be impressed by mine. I often wonder if Mr Gooden would have got in trouble if anyone in authority had known what he was up to. The closest I came to telling anyone about it was when Paul Winch and I got to enjoy some double discipline. I forget the exact crime this time around but Paul and I were kept back after class. I was sent to wait on the landing outside room 51 while Paul went in for the opening bout of punishment. I don’t know who started shouting first but their verbal missiles were soon joined by wooden ones as they began to curse and throw chairs at each other. First Paul would scream some obscenity and throw a chair or two then Mr Gooden would shout something back and throw more chairs. This continued for an eternity while I listened in terror, knowing that I was next. Mr Berry—Head of Chemistry and Mr Gooden’s boss— walked by just at that moment and asked me why I was still in school so late and why I was crying. I told him I was about to be caned but said nothing of the roar of Bedlam that continued above our heads. Mr Berry said something vaguely soothing, grabbed his coat and headed for home. I waited for my turn in the chamber of horrors. Eventually the ruckus died down and Mr Gooden came down the stairs to tell me to wait by his car. Paul told me later that he had broken Mr Gooden’s cane. He must not have replaced it because I never felt its bite again and Mr Gooden switched to more psychological torments. Mr Gooden drove me home that day and made me wait in the car while he spoke with my mother. I’ve no idea what he said but, when I got inside, I told my mother “I don’t want to stay at Chis & Sid”. “I know”, she replied. Not long after the chair-throwing episode, Paul went away to some kind of prison for young offenders.. By then I was totally disengaged from school and had vowed to leave at the earliest opportunity. I never did another lick of homework or took a another book home from school. In most classes, I did no work at all. No official work anyway. I read Homer under the desk in my Latin class and I coded in Basic in French class. Still I came first in my class every year. I need to explain that. In American schools, most of one’s grade comes from the opinion of one’s teacher. In England of that era, one’s grade came entirely from how one performed in the end of year exams. End-of-year exams took three weeks and bore little resemblance to the pathetic little multiple choice tests that they do on this side of the pond. For each subject, there were two exams of three hours each. There was no “teaching to the test”, the bête-noir of American teachers. It was teach-teach-teach for most of the year then now-let’s-see-what-you-understand-you-little-fuckers. I came first in my class at the end of the third year. I won a prize for the most improved student (last-in-class to first-in-class is hard to beat) and Mr Gooden was furious. One of my teachers, Ms McDonnell was new to teaching and, frankly, not very good at it. She taught physics (my favorite subject) and she taught it very badly. I paid close to zero attention to her awful lessons and did less than zero of the work assigned. When the exam results were published, only two students in her class passed. I got 70% and John Burford got 57%. No one else got more than 34%. Mr Gooden made me stay in class for every break and lunch break until the end of term while I completed all the work that I had missed. The last two years of Chis & Sid couldn’t pass fast enough. I had nothing more to do with Mr Gooden but by then I had a deep seated contempt for all teachers, even the good ones like Mr Lewis. We had a Mr (chemistry) Lewis and and Mr (biology) Lewis (AKA “Basher” Lewis) and (chemistry) Lewis was a genius. An outstanding chemistry (and rugby) teacher, I’ll always remember the day that he sat in as a substitute for biology when Basher was out sick. He asked us “So what topic are you supposed to be learning today?” “Cell-division” we replied. Mr (chemistry) Lewis proceeded to give the lesson on meiosis and mitosis far better than Mr (biology) Lewis ever could. I really felt that I had let him down when he reviewed my chemistry exercise book and I had done only two pages of work in two years. When ‘O’ levels came around I came equal first with three other students all of whom went to Oxford and Cambridge. But I was already out of there, headed for life in a different colour blue. In my 16 year old head, I thought that the Navy would be more of a challenge than two more years of school and ‘A’ levels. I did four more years of schooling in the Navy and the exams were just appallingly, trivially easy. I even did ‘A’ level maths in my spare time just to make sure my brain had not completely rotted (it took me six weeks and I got an A). I often wonder what path my life might’ve taken if I’d gone to Cambridge instead. Thanks Mr Gooden. You changed my life. Footscray. Council estate. Fancy grammar school. Parents divorce. First in class. Run away to sea. Engineering apprenticeship. Girlfriend. Falklands patrol. Girlfriend. Sonar engineer. 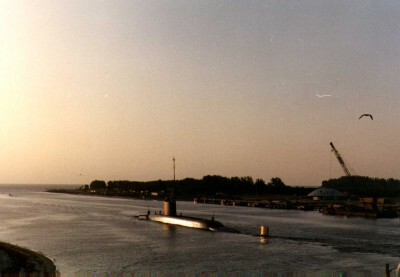 Polaris submarine in Scotland. Patrol North Atlantic. 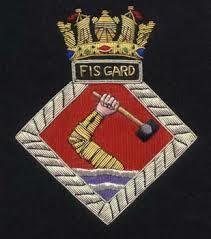 Midshipman. BRNC Dartmouth. Quit. Backpack (California, Tahiti, Moorea, Bora Bora, Huahine, Raitaia, hitchhike Sydney->Cairns->Darwin, Bali, Lombok, Sumbawa, Flores, Komodo, Singapore, Malasia, Thailand). East End. Poor. Girlfriend. Read The C Programming Language. City of London. Girlfriend dies. Malta. Girlfriend. Marry in Jamaica. Malta (again). Plymouth Hoe. Manhattan. Child. Wall Street. Silicon Valley. Startup (failed). Child. Startup (failed). Startup (failed). Portland (and back). Startup. Dog. Now. Future. Success. Riches. South of France. Happy ever after. The end. 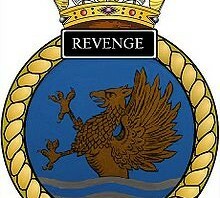 Posted on July 12, 2013 August 1, 2017 Categories Categories SuckTags favourite, memories, navy, submarineLeave a comment on Fire! Fire! Fire! It’s hard to miss Terry Gross if you are a commuter in Silicon Valley. As much as I intend to leave the office in time to hear the endlessly entertaining Kai Ryssdal, by the time I have shut down the computer each evening and made it to the car, seven o’clock has crept up on me and it’s time for the far less entertaining Terry Gross with FRESH Air. Just the way she says it annoys me. Roger Ebert died this week and one of the best things about famous people dying is that Terry Gross always has an interview with them from 1987 when the famous person was at the pinnacle of their abilities and Terry Gross sucked a little bit less at interviewing. Of course, Terry had several interviews with Roger and even one with Siskel and Ebert together that was quite delightful. I appreciate Terry Gross’s interview recycling because I’ve long had a theory that we have an obligation to remember great people before they got old even, or especially, when we only ever knew them as old or infirm. Inside every old person is a young person who doesn’t really understand that he’s old now. We should all make a better effort to get to know the young person. 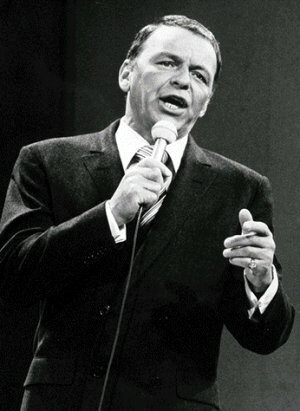 My favourite example is Frank Sinatra. People of my generation think of Frank Sinatra as an old man who sang romantic songs in an old man’s voice. Close your eyes and conjure up Ol’ Blue Eyes singing My Funny Valentine. Did you picture someone like who looked like this? Sorry, you got the wrong guy. 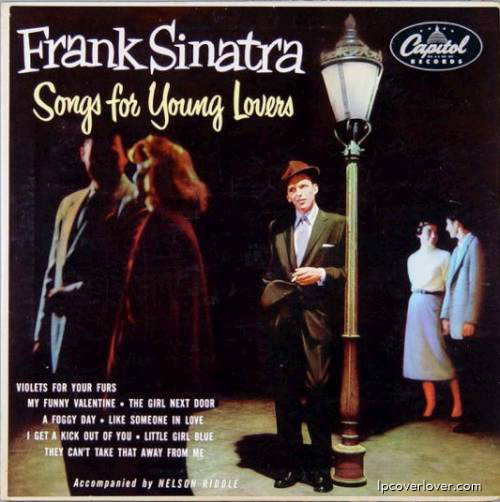 Songs for Young Lovers was recorded in 1953 . 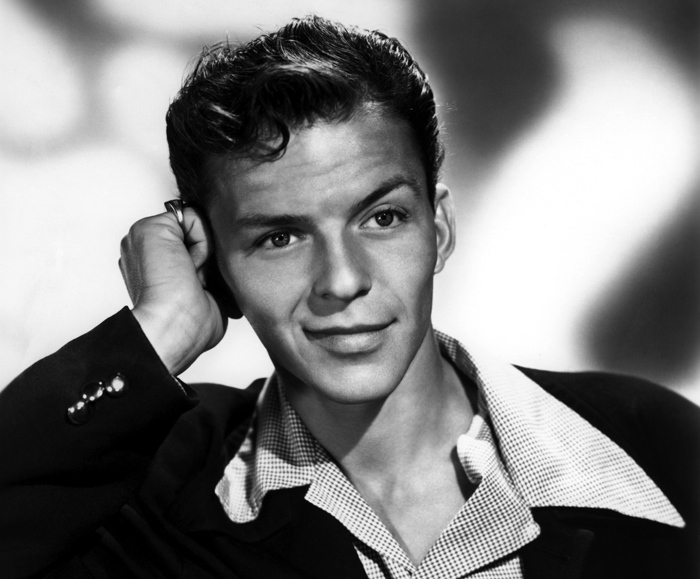 When Frank was in the prime of his superstardom in the 40s, he looked like this. And… he had the same voice as that old guy! The next time you play some romantic Frankie tunes, don’t make the mistake of imagining that old dude whose voice your grandmother was partial to. That’ll snuff out your spark of romance in no time. You can play this game with a whole geriatric ward of interesting old folks. 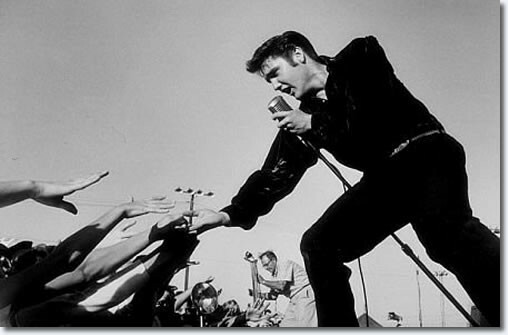 That dude who sang Heartbreak Hotel? He wasn’t an overweight lounge lizard in a sequined white jumpsuit. 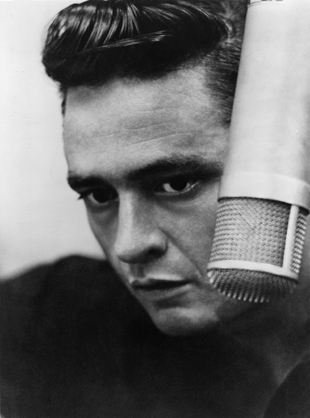 The Man in Black – another guy who sounded ancient? Who else sounds ancient? 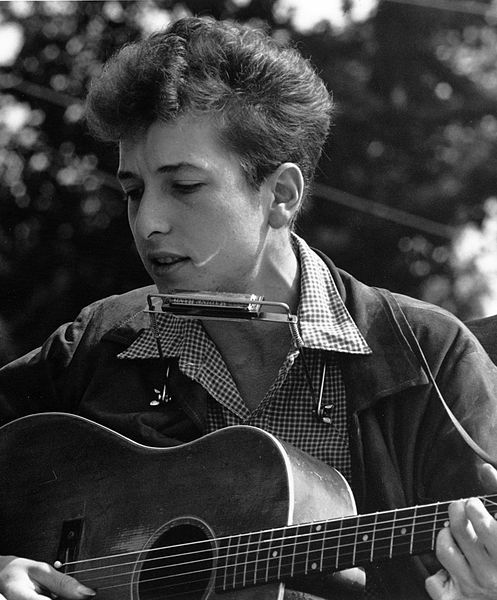 Oh yes, the inspiration for a thousand blog titles, Mr Bob Dylan. The guy who sang Blowing in the Wind looked like this. Roger Ebert’s very best writing flowed when the tributaries of underground memories trickled into his stream of thought as in this meandering tale wandering through the London of his youth and his later battle with infirmity. On my imaginary walk I could have turned right at the end of Jermyn and walked up St. James to Piccadilly, and down to Park Lane, and up toward Notting Hill, and I could have passed the Mason’s Arms on my way to Pembridge Square and nodded while passing the Hyde Park West Hotel, where I had a tiny room with a window that opened to allow me to stand on a wide roof overlooking London. I could have had lunch at Costa’s, behind the Gate at Notting Hill, the famous movie theater. Or headed on west to Lord Leighton’s House. Or I could have simply walked out the far end of Pembridge Square and stopped for lunch at the Sun in Splendor– the Evening Standard Pub of the Year in 1968. Why do I know that? I realize this could get boring. It probably already has. I’ll try to get to my point. Sometimes when I write, you understand, it’s like when I walk around London. When I set out I have a general destination in mind, but as I poke around this way and that, I find places I didn’t know about and things that hadn’t occurred to me, maybe glimpse something intriguing at the end of a street, which is how I found Chiswick House, which I had no idea existed. 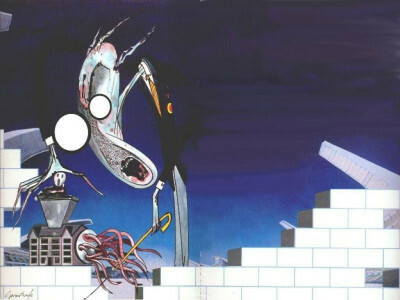 We should all do Roger a favour and banish the old chubby with the missing jaw from our imagination. Remember, instead, the young chubby who always wanted to be a great writer and be thankful that he achieved his dream. 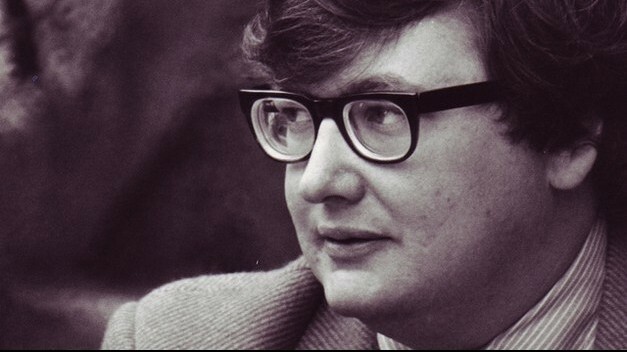 During the Fresh Air interview mash-up, one interviewee said that the secret to Ebert’s movie reviewing was that he didn’t much care how good a movie was; he cared how much he enjoyed it. His writing was like that too. I’ve been following Ebert’s blog for several years and he always gives the impression that he is writing to delight himself and his delight is infectious. I adore the way he wanders off topic into his own memories and shares them with such simple clarity that they become mixed in with your own. Reading an Ebert story inevitably makes me want to write one of my own but, as I have a rather busy weekend of me, I’ll have to settle, Terry Gross-style, for replaying a favourite story or two that I stumbled across this morning when I happened to click this link. The first is about the damage that hidden shame can wreak. Ebert takes a passage from his review of The Reader and turns it into a recollection about a shameful passage in his own history. Roger Ebert has written a powerful, meandering essay about shame. The essay takes many twists and turns and each one of them is fascinating journey in its own right. The second is about the limits of empathy and the terrible thinks that happen when your empathy is too limited. That brings me back around to the story of the school mural. I began up above by imagining I was a student in Prescott, Arizona, with my face being painted over. That was easy for me. What I cannot imagine is what it would be like to be one of those people driving past in their cars day after day and screaming hateful things out of the window. How do you get to that place in your life? 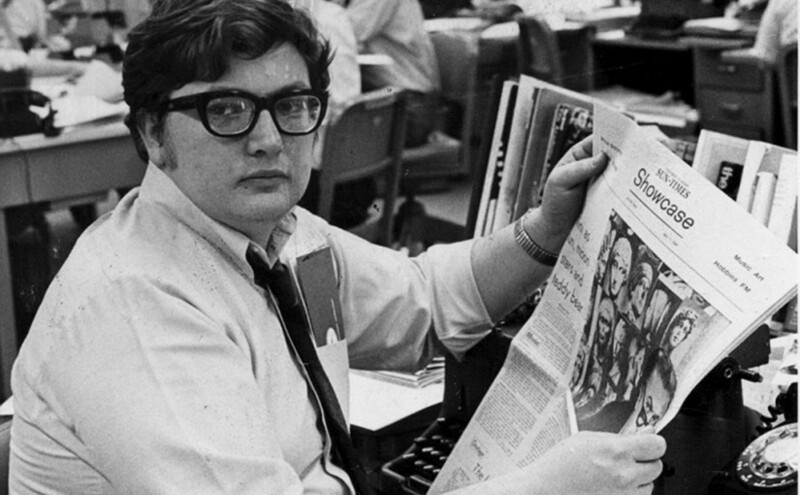 In every Ebert story, there is always a whispered shout-out to some character from the past who had an influence on his life. 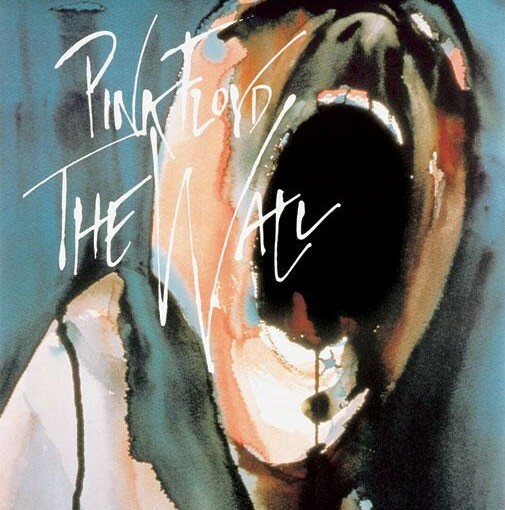 Roger, you are in my past now but, muse be willing, the influence of your stories will live on in mine. Because your my best girl and the best you’ll always be. I have a bunch of medals for shooting. 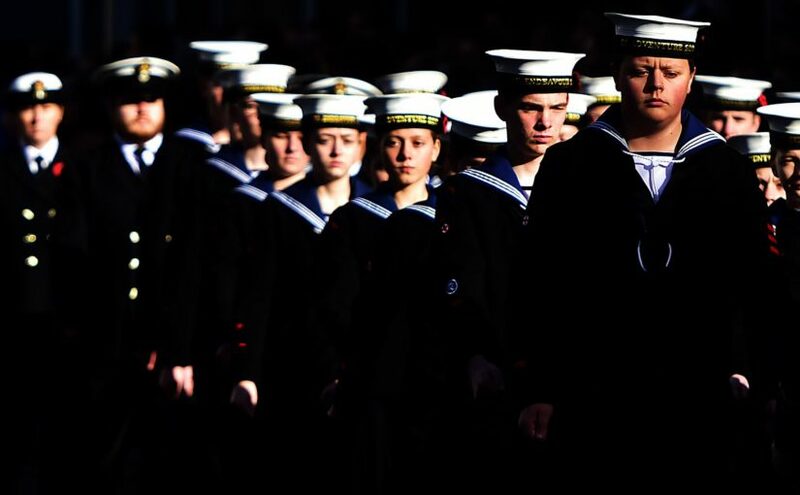 Our Sea Cadet unit (TS Caprice, Bexley SCC), used to compete in tournaments pretty much every other weekend – adventure training, rifle drill, orienteering, rowing, sailing, football. We won almost every time we competed and my medal drawer overfloweth. Shooting was my forte. I was pretty good at shooting despite the fact that I was – and still am – very short-sighted and, as a self-conscious teenager, never wore my glasses. I won silver in the South-East London shooting contest and gold in the pentathlon (shooting, orienteering, assault course, shot putt and…er … <mumble> something else I don’t remember) and best of all, we got the silver medal twice in a row in the All London Adventure Training competition (codename: Chosin; named for the Battle of Chosin in the Korean War) where we, a team of six fifteen-year-olds, were dropped in the middle of snowy nowhere for a weekend of hiking, camping, shooting and various other activities related to survival in the wilderness. After I joined the Navy, we fired all the usual Navy weapons. Most of the time we shot the standard issue SLR (self-loading rifle) but we also fired more exotic weapons like LMGs (light-machine guns), SMGs (sub-machine guns) and, once, a 9mm Browning pistol (fun fact: a NAAFI manager with an LMG was credited with shooting down a Mirage with an LMG during the Falkland’s War). My next gun was a twin-barrelled 30mm BMARC. 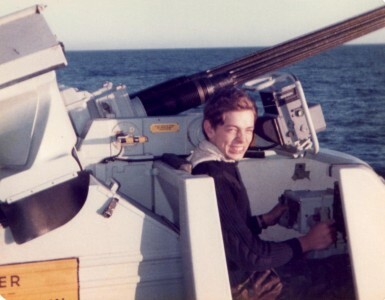 This gun was my constant companion for 6 months in 1984/85 while we sailed around and around the Falklands trying to keep the Argies from coming back. I’ve said it before, and I’ll say it again (because I love saying it), the thrill of firing that gun is something I’ll never forget. 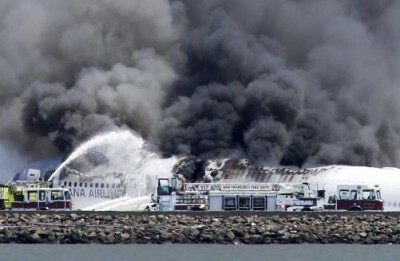 Alarm Aircraft! Green 9-0! Elevation 2-2! Starboard guns, engage! Bang! Bang! Bang! Bang! Bang! Bang! Bang! Bang! Bang! Bang! Bang! Bang! Bang! Bang! Bang! (20 times per second). 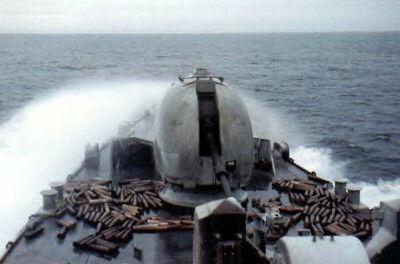 Naval Gunfire Support! 300 rounds. Engage! I think I still have the bruises on my collar bone from pulling those shells down from the top shelf in the magazine and catching them on my shoulder. With a range of 30,000 yards, the 4.5in Mk8 was the most powerful gun I ever fired but I fired other weapons that were bigger. OK. I didn’t actually fire a torpedo, but I fired practice shots a hundred times and I sat next to a dude who fired one from HMS Revenge. Did you know they were wire-guided? Pretty cool, eh? 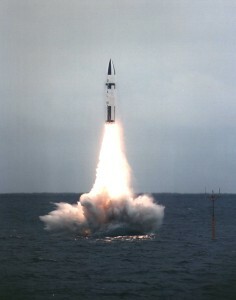 I missed out on firing the biggest weapon of all, the Polaris inter-continental ballistic missile, by a few months. 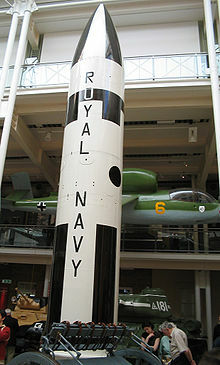 My submarine, HMS Revenge, fired a practice missile a few months before I joined her but we fired an uncountable multitude of water shots on my one and only patrol and, each time, I fired a practice torpedo, the theory being that if you fire a polaris missile, every russian submarine within a few hundred miles will hear it and come to try to sink you. I was the only crew member on HMS Revenge who was also a member of Greenpeace. When the Jimmy made his big speech about how everyone on board had to be totally committed to our mission, three of my messmates had to physically prevent me from going up to the control room to share my reservations about our nuclear deterrent with the captain. [postscript: odd that my security clearance came up for review right after I joined Greenpeace]. So, despite my history with guns, nothing prepared me for the ongoing love affair that my adopted country has with weaponry of all kinds. Everyone in the world knows how much Americans like their guns but you don’t really appreciate exactly how much they like them until you get here and talk to people. Otherwise-normal people have some really strange ideas about the appropriate role of guns in society. 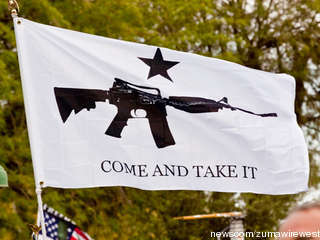 The oddest idea is the one that a well-armed citizenry is the last bastion against tyranny. Even some of my most sensible friends believe that one — not just the crazies who think that Obama is a Kenyan, socialist muslim who wants to take their guns as step one in secret conspiracy to introduce Sharia Law and gulags. Even people who can speak in complete sentences. Put aside, for a moment, the knowledge that the government has kept all the really good weapons for itself, the main flaw in the well-armed citizenry argument, for me, is an emotional one. When I close my eyes and try to imagine what tyranny looks like, the images that scare me the most are the ones that include well-armed citizens and which way they are pointing their guns (HINT: it’s not in the direction of the government). Think of Cambodia, Rwanda, Congo, Bosnia, Lebanon, Iraq, Afghanistan… and picture the folks holding the weapons. Were they the good guys or the bad guys? Any reason to think it might be different in a future American dystopia? 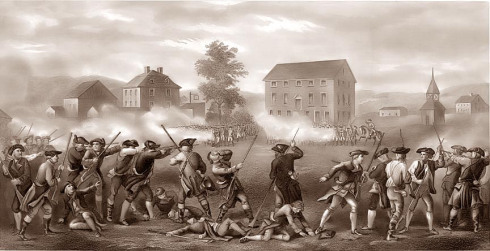 I expect that the mythology concerning well-armed militias grew from a seed of truth planted in 1776 and nurtured by 200 years of 4th grade history. Generations of elementary school kids have been taught that the bad guys from England were repelled by the good guys using long guns hidden in their barns. Not until high school do kids learn that it’s not always so easy to tell the good guys from the bad guys. According to Jill Lepore in The New Yorker, it wasn’t until quite recently that the Second Amendment was used to justify gun ownership. In the two centuries following the adoption of the Bill of Rights, in 1791, no amendment received less attention in the courts than the Second, except the Third. As Adam Winkler, a constitutional-law scholar at U.C.L.A., demonstrates in a remarkably nuanced new book, “Gunfight: The Battle Over the Right to Bear Arms in America,” firearms have been regulated in the United States from the start. Laws banning the carrying of concealed weapons were passed in Kentucky and Louisiana in 1813, and other states soon followed: Indiana (1820), Tennessee and Virginia (1838), Alabama (1839), and Ohio (1859). Similar laws were passed in Texas, Florida, and Oklahoma. The idea that the second amendment has something to do with self-defense is an even more recent innovation. A few years back, writer Jonathan Safran Foer wondered how a politician might justify gun ownership without relying on the Second Amendment. Why do Americans see guns as intrinsically good when the rest of the civilized world has such a different opinion? In the rest of his article, Foer, explores a few potential arguments to his rhetorical question, like public safety, a favourite among my gun-toting companions. Guns are good because they provide the ultimate self-defense? While I’m sure some people believe that having a gun at their bedside will make them safer, they are wrong. This is not my opinion, and it’s not a political or controversial statement. It is a fact. Guns kept in the home for self-protection are 43 times more likely to kill a family member, friend or acquaintance than to kill an intruder, according to a study published in the New England Journal of Medicine. Guns on the street make us less safe. For every justifiable handgun homicide, there are more than 50 handgun murders, according to the FBI. DEFINITION: Total recorded intentional homicides committed with a firearm. Crime statistics are often better indicators of prevalence of law enforcement and willingness to report crime, than actual prevalence. DEFINITION: Homicide rates among youths aged 10–29 years by country or area: most recent year available (variable 1990–1999). The numbers are even more appalling when you factor in accidental deaths. 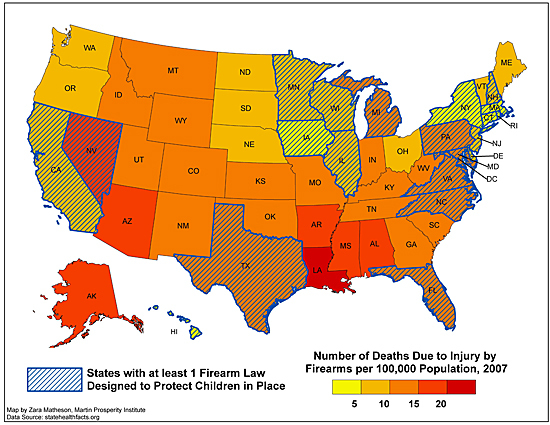 In 2004, more preschoolers than law enforcement officers were killed by firearms, according to the Children’s Defense Fund. The number of children killed by guns in the United States each year is about three times greater than the number of servicemen and women killed annually in Iraq and Afghanistan. In fact, more children — children– have been killed by guns in the past 25 years than the total number of American fatalities in all wars of the past five decades. There are several theories for why America is the most violent country in the developed world. The most compelling is that democracy came too early to America. 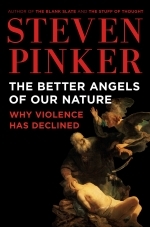 Steven Pinker’s Better Angels of our Nature points to the state monopoly on violence as a major contributor to the persistent and dramatic decline in violence over the last several thousand years. Book review of Pinker’s Better Angels of our Nature in the New York Times. Pinker documents in excruciating detail just how much more peaceful our century is than previous ones (if like me, you are wondering how Pinker explains away the Holocaust and World War I, go read the book. It will answer all your questions, I promise). Homicide rates per 100,000 people in Europe. All societies must deal with the dilemma famously pointed out by Hobbes: in the absence of government, people are tempted to attack one another out of greed, fear and vengeance. European societies, over the centuries, solved this problem as their kings imposed law and order on a medieval patchwork of fiefs ravaged by feuding knights. The happy result was a thirty-fivefold reduction in their homicide rate from the Middle Ages to the present. Once the monarchs pacified the people, the people then had to rein in the monarchs, who had been keeping the peace with arbitrary edicts and gruesome public torture-executions. Beginning in the Age of Reason and the Enlightenment, governments were forced to implement democratic procedures, humanitarian reforms and the protection of human rights. 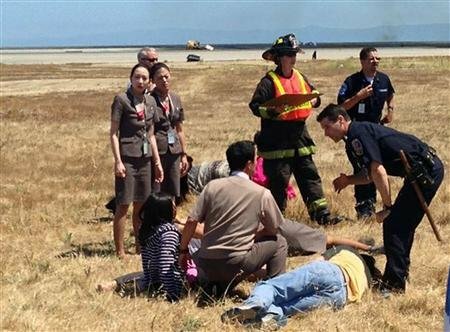 In America, the sequence of events was slightly different. 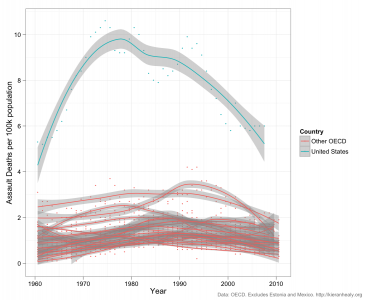 Murder rates are about four times higher in America than in western Europe. And guns are not the only reason; murder by stabbing and clubbing is higher, too. The murder rate is higher among blacks, but American whites are more violent than European whites. The South is America’s most violent region; both blacks and whites in the South are more violent than those in the northeast. In other words, the murder rate is highest in those states that most disdain the sovereign (“government”) and champion self-reliance. 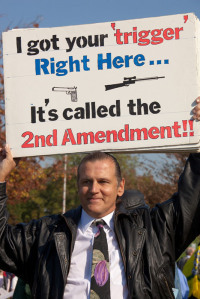 … and the opinions of gun-owners are diverging from the hard-line positions championed by the NRA. Gun owners may be more supportive of gun-safety regulations than is the leadership of the N.R.A. According to a 2009 Luntz poll, for instance, requiring mandatory background checks on all purchasers at gun shows is favored not only by eighty-five per cent of gun owners who are not members of the N.R.A. but also by sixty-nine per cent of gun owners who are. It’ll take a while but I am confident that Americans will eventually succumb to the same civilizing influences that have tamed Europeans’ violent urges. Every country has, along with its core civilities and traditions, some kind of inner madness, a belief so irrational that even death and destruction cannot alter it. In Europe not long ago it was the belief that “honor” of the nation was so important that any insult to it had to be avenged by millions of lives. In America, it has been, for so long now, the belief that guns designed to kill people indifferently and in great numbers can be widely available and not have it end with people being killed, indifferently and in great numbers. New Yorker, after the Aurora killings. I expect that, part of the solution – the transition to a society with fewer guns, will result from the recognition that the second amendment, like all the other amendments, has limits. Daddy! What did you do in the navy?